Mindful ways to more kindness and less stress. Click here to book your place on our next Mindfulness Compassionate Living Course. Self-compassion is a life-changing way of thinking that is rooted in Mindfulness. Compassion is the capacity to feel concern with the pain and suffering of ourselves and others. This capacity is accompanied by the wish to relieve this pain and suffering and the willingness to take responsibility for it. Every human being has the potential to be compassionate. It is a quality inherently present in everyone, but for various reasons often not fully cultivated. Research in neuroscience has shown that by means of practice, self-compassion can be developed and deepened. By learning to have more kindness and forgiveness for ourselves, we have more compassion and empathy for others. This is the aim of the Mindfulness Compassionate Living Course. The benefits of this Mindfulness Compassionate Living Course are personal and global, from enhancing emotional and physical well-being, boosting happiness, reducing anxiety and depression, along with improving relationships as we connect more authentically with others. 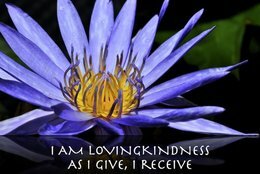 If you have already attended an 8-week Mindfulness Based Living Course and have an established daily mindfulness practice, then progressing to the Mindfulness Compassionate Living Course is the next step in applying loving kindness first to yourself, then others, releasing negative attitudes and living joyfully from the heart. Please see our EVENTS LISTING for the start date of the next Peer 2 Peer Mindfulness Compassionate Living course.